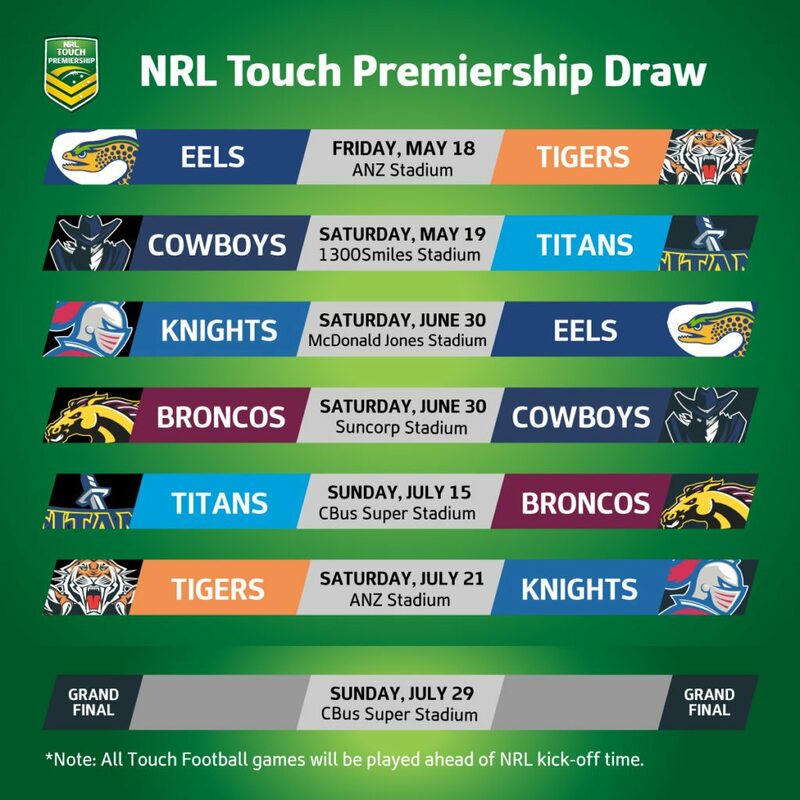 A new era in elite touch football has commenced with the inargural 2018 NRL Touch Premiership season now underway. Three teams each from NSW and Queensland will battle it out aiming to make the Grand Final which will be played on the Gold Coast on Sunday 29 July, 2018. 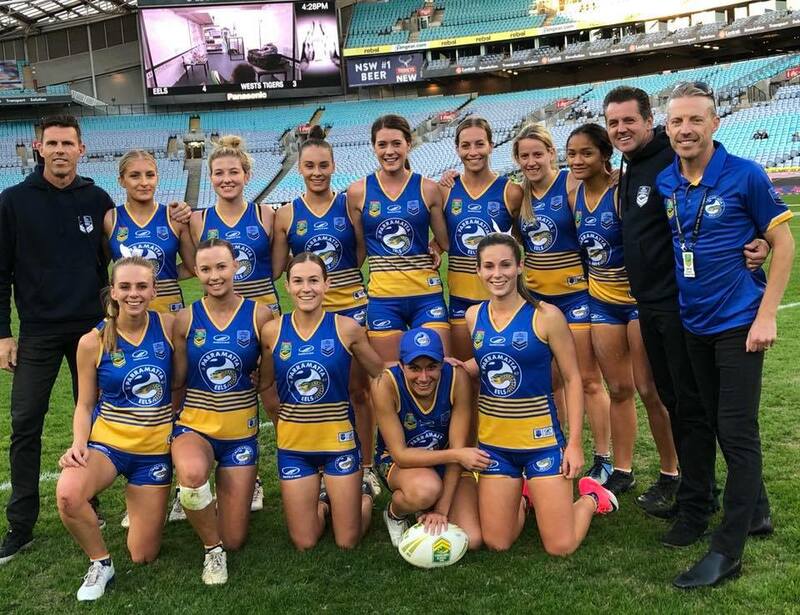 Regional touch permit Sydney Scorpions has been aligned with the NRL Parramatta Eels with the Women’s team made up of all 16 players from the Manly Warringah Sea Eagles touch affliliate. In game one the Parramatta Eels defeated the Wests Tigers 4-3 at ANZ Stadium. Game two will take place for the Eels against the Newcastle Knights on Saturday 20 June at Newcastle Stadium. A positive result there will see the Eels up against the top placed Queensland team for a match-up on the Gold Coast in July and live on Fox Sports. Photo’s can be found here. 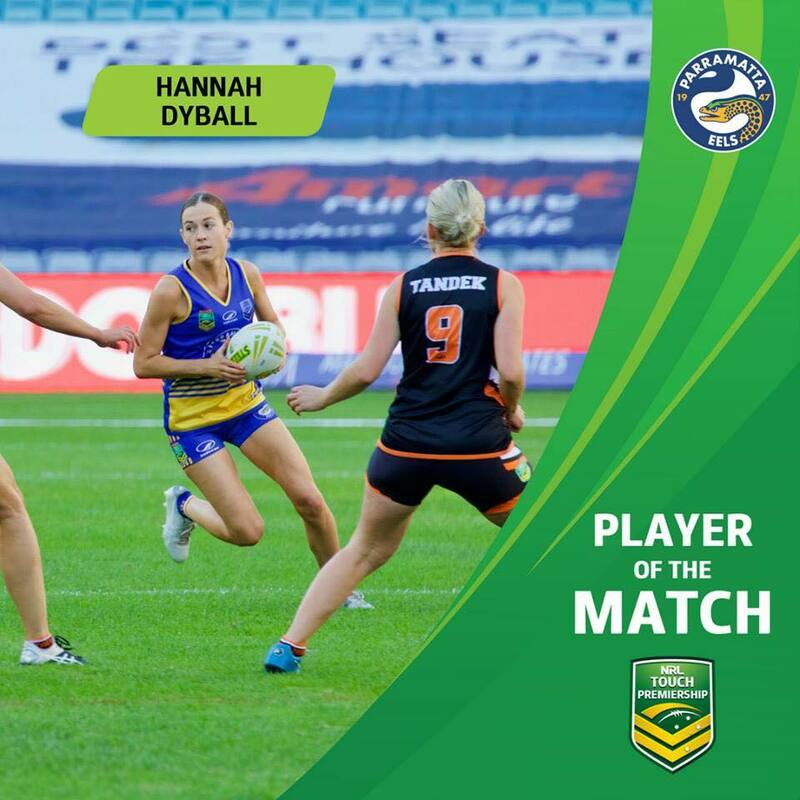 The NRL Touch Premiership has tapped off in a big way with the Women’s Eels winning a nail biter 4-3 over the Tigers. Patricia Michaelopoulous will go down in history as the first try scorer in the Premiership when she crossed the line in the 4th minute to give the visitors the lead. Both teams took some time to adjust to the occasion at ANZ Stadium with the Eels needing 13 minutes to level up the scores. They did so when Zara Nicholas latched onto a long ball to score in the right-hand corner and they hit the lead shortly after when Sammy Rodgers crossed for the first of her double in the opposite corner; a lead they took into half-time. The second was a replica of the first as both sides failed to trouble the scorer for first 10 minutes of the second stanza. Hannah Dyball found a free Sam Rodgers with 5 minutes left on the clock to give the Eels some breathing space at 3-1. With time running out the Tigers looked to star play maker Ash Quinlan to make it happen and she duly delivered as she broke the Eels defensive line and found Courtney Young in the in-goal area to get the visitors back to 3-2. 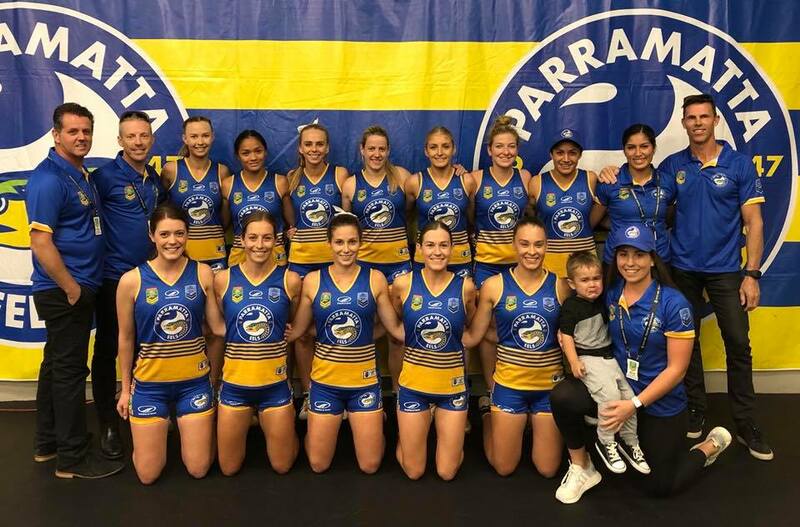 The Eels again stretched the lead back out to two with Nicholas not wanting to be outdone and picking up a double for herself with a classy putdown in the left-hand corner. The Tigers Amy Webb got them within striking distance of tying it up and sending the first Premiership match into a drop-off when she scored with 60 seconds left on the clock. The Eels played their part for the crowd when they turned it over from the restart giving the Tigers one last shot but they couldn’t convert their opportunity as the Eels hung on to secure an historic first ever Premiership win. The team will be gunning for nine championship tournaments in a row with the current record below. Congratulations to our stand-out players from game one versus the Wests Tigers, with Player of the Match points below.